Why do so many new businesses fail? One of the most common reasons that businesses run aground in their early years is lack of access to capital. Without the assets they need to keep their projects on track to success, all too many business owners find themselves sinking before they have a chance to swim. Following the 2008 financial crisis, the demand for working capital continued to climb as banks became increasingly wary of extending themselves and supply withered away. This phenomenon presented a unique opportunity for the growth of the Merchant Cash Advance industry. In 2013, Total Merchant Resources (TMR) appeared on Shark Tank, which was a seminal moment for the MCA industry. The company caught the eye of Kevin O’Leary and they struck a deal for 200k in exchange for 50% equity of TMR. 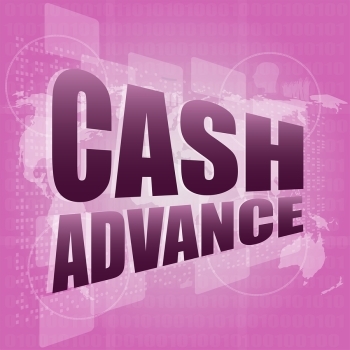 Since then, merchant cash advances have gained substantial traction among business owners. Online lenders such as Lending Club and OnDeck have even gone public and the industry is now worth $ 3 billion+. Much of the American economy is powered by small businesses, and at some point every business will need working capital. Merchant cash advances fill this void and help businesses survive and thrive. So what happened with Total Merchant Resources since appearing on the show? Roughly 2/3 of the deals struck on air fall through after production and unfortunately, TMR was not spared. However, the company’s appearance on the show alone brought merchant cash advances into the public consciousness. Beyond O’Leary’s obvious support and interest, fellow shark Mark Cuban stated that companies like TMR are doing far more for small businesses and the country than banks. Cuban went on to say that he’d rather see a small business deal with a MCA company over a bank as relationship is exponentially more intimate. Today, Total Merchant Resources is doing well and their client-retention rate is quite high. Much like Cardinal Equity, they are focused on building relationships and implementing a consultative approach rather than delivering a pitch. Companies focused on providing value to their clients will continue to stand out in an increasingly saturated industry with a low barrier of entry.